I admit while I love sewing knits I still have mixed results. I was working on a dress today that is very simple to help me practice. I thought I would share a few things. First of all, most knits come about 60 inches wide. That is nice because knit patterns seem too use less fabric. The above picture is for example. I got all the ripples out before I cut my pattern. 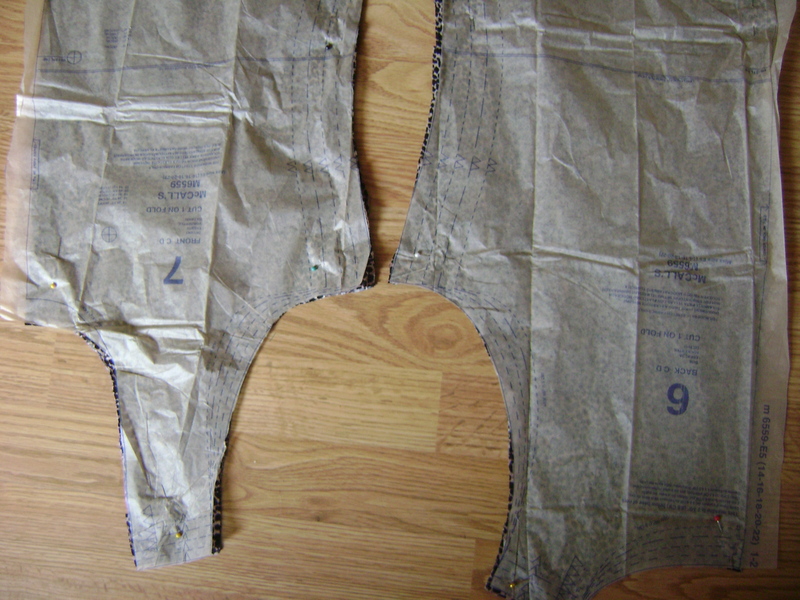 Yes, my dress pattern is two pieces, has no darts or closures. That is another bonus when working with knits. The patterns are usually less complicated. 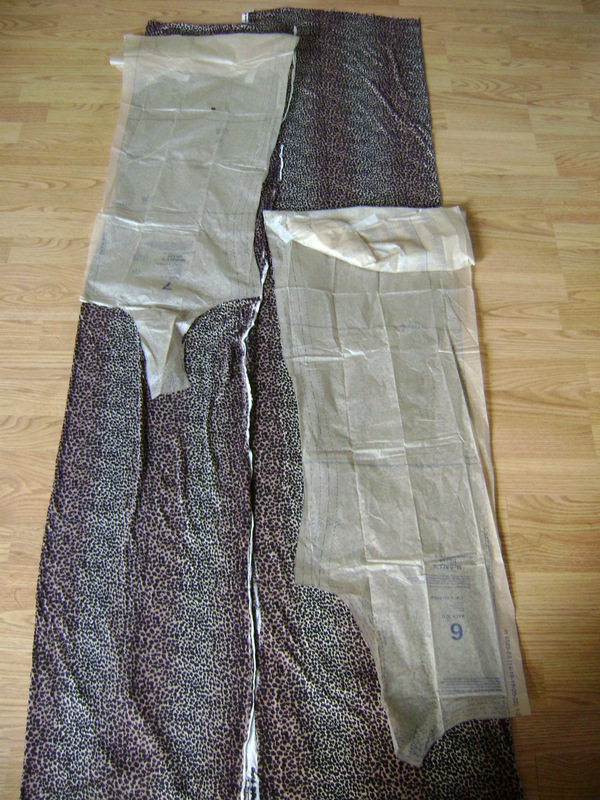 Back on subject: This pattern called for the fabric to be laid out with selvedges together which made for two folds on which to cut the dress front and back. I find laying out my knit fabric in this way is a challenge. The best way I have found is to make a small snip in the center of the fabric on both ends and work from there to bring the selvedge edges together. Be patient and really be sure you have all the ripples out. I like to use scissors to cut mine out, and I do use pins to keep it all together. Go slow. I also make my marks as I go in case there is any fabric slippage by the time I get all the way around the pattern piece. 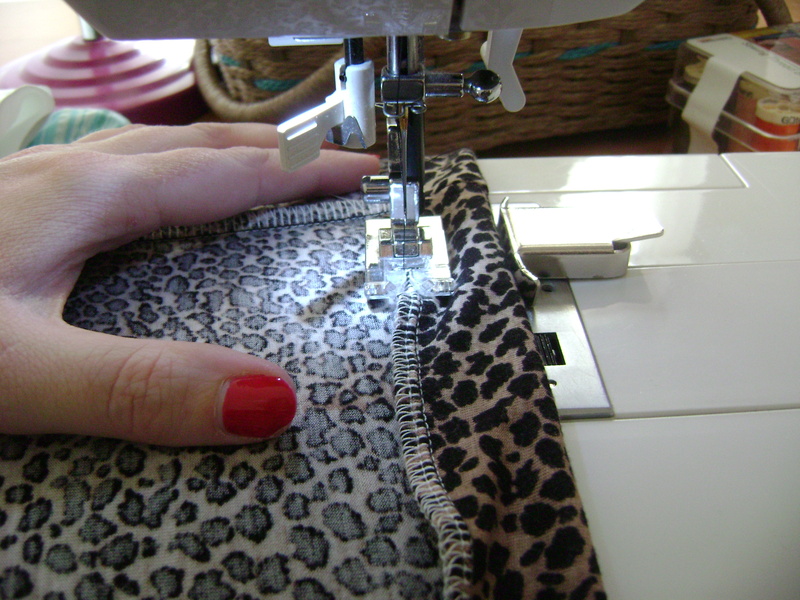 To create my seams I use my serger. 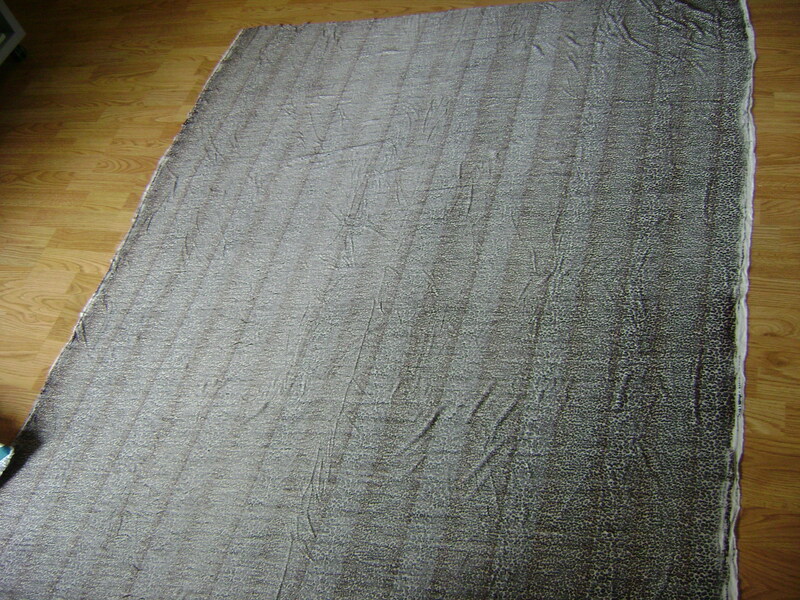 The picture above is my hem. 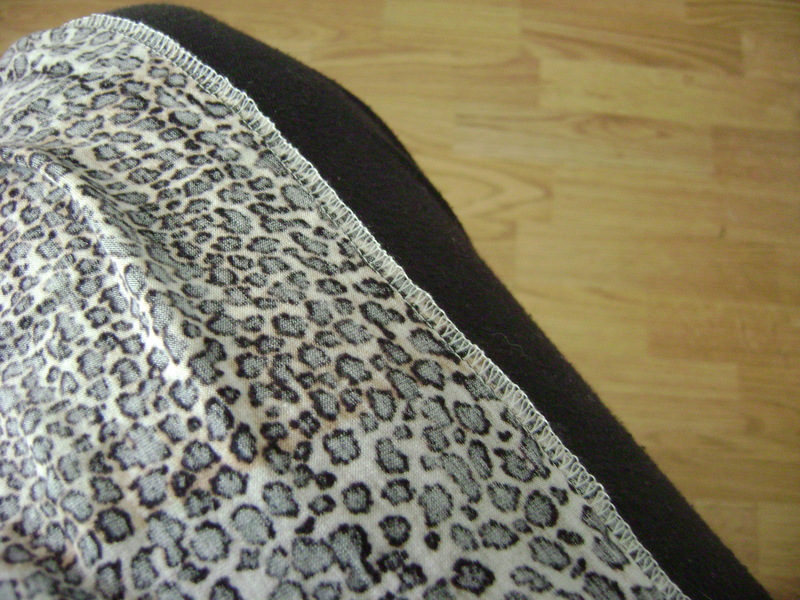 First, I like to serge the raw edge of my hem. Knits do not unravel, so this is not totally necessary, however I feel it gives me more control when finishing my hem and gives it a nicer look on the inside. To finish my hem I use my sewing machine. I chose to do a 3/4 inch hem, so I placed my magnet at the 3/4 inch mark on my sewing machine. I do this to be sure I stay accurate since knits cannot be pressed into place as easily as woven fabrics. I then sew along the serged edge using a thin zig zag stitch. On this dress I could have probably straight stitched, but I zig zagged because that is how I was trained. When sewing knits a zig zag on the sewing machine stretches, where a straight stitch does not. When you sew with a straight stitch if you stretch the fabric you can pop your stitches open. If you have not sewn with knits I suggest trying it. Just go slow and do some research. You can see my finished dress on my blog. This entry was posted in Sewing FYI, Tips/Techniques FYI and tagged working with knit fabrics on May 5, 2012 by staciethinks.